You may be wondering if you need to worry about mold on exterior of home surfaces the way you do about mold inside your home. After all, mold is common outdoors, isn't it? And you can't be expected to prevent mold spores from landing on the outside of your home or to keep moisture off the exterior of your home. It's true that it can be hard to prevent mold on the exterior of your home, but there are things you can do to protect your home from mold growth. And you should take such steps, because exterior mold can damage your home and it does carry health risks, even if those health risks may be somewhat less than the risks associated with mold inside the home. 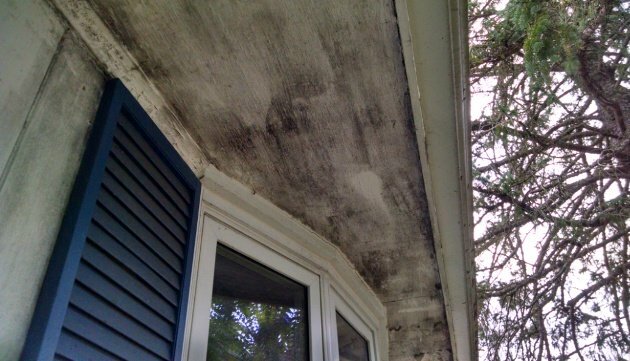 How Can You Prevent Damage from Mold on Exterior of Home Surfaces? Make sure rain gutters are kept free of debris and in good repair and that they direct rain water away from the home. Keep the roof free of leaves and other debris and in good repair. Use mold-resistant paint, available at most home improvement and hardware stores in a wide variety of colors, on painted surfaces. Consider using materials less susceptible than wood to mold-related damage, such as brick or stone, when possible. 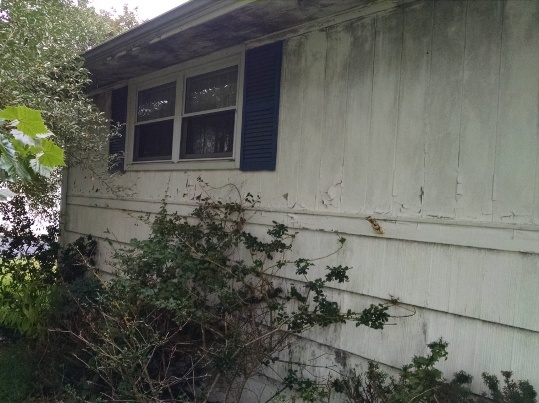 Why Is Exterior Mold a Problem? It's a problem for several reasons. Outside mold doesn't always stay outside. For instance, mold on your roof may soon find its way into your attic. 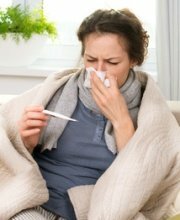 Outside mold does carry health risks. True, the risks are not as great as with inside mold. Most people don't spend a lot of time outdoors near their homes, and even if you do, the concentration of mold will be less out there in the open air than it would be indoors. That doesn't mean exterior mold cannot lead to health problems, though. If you do spend time outdoors in areas with significant amounts of mold, your health will be at risk. Children are particularly susceptible to mold-related health problems, so mold around play areas is especially hazardous. Mold can damage your home, whether it grows inside or outside. Some materials are more easily damaged by mold than others. 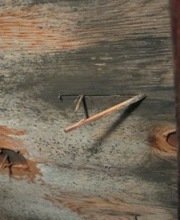 Mold will literally eat away wood over time. 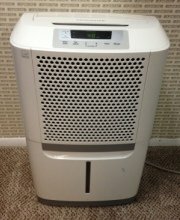 Almost all materials will be damaged by mold to some extent given enough time, however. You can read more about how mold can damage a home here. The presence of mold can bring down the value of your property. Of course, most homeowners also dislike the way mold looks growing on the exterior of their homes. The best way to remove mold from exterior surfaces of your home depends on the types of materials on which the mold is growing. We suggest contacting the manufacturer of your home, if possible (or the manufacturer of your siding if you've had new siding put on your home), to ask about the best way to remove mold. Not only can the manufacturer offer valuable advice, it's important to check with them because using the wrong technique or mold removal product may void any warranties. Generally the exterior homes surfaces are washed, sometimes with a power washer (but that may damage some types of siding, which is another reason to consult a professional or the manufacturer of your home before getting started), then a mold removal product is applied. Our favorite product for removing mold from the exterior of homes is Rhino Hide's UltraMean2. We aren't sure why it's named after a rhino, but it does a great job removing mold and mildew from all sorts of surfaces, including wood, siding and masonry. Not only does it remove the mold, it removes the stains that mold often leaves behind. You can learn more about Rhino Hide's UltraMean2 here. Just remember to check with your home's manufacturer or to consult a professional before using it to make sure it's the right product for your home. If you need help removing mold from the exterior of your home, we suggest consulting a professional that washes exterior home surfaces, including walls, decks, and other surfaces. You can follow this link for a list of qualified professionals in your area that specialize in cleaning home exteriors.